The Women’s Mini Marathon 2017 is fast approaching! Congratulations to all of you who have signed up to support the St. James’s Hospital Foundation. The mini-marathon is a wonderful opportunity for us all to get out and active, especially as the summer months are drawing near. Over the next few weeks, our Clinical Nutritionists will provide you with weekly Women’s Mini Marathon diet tips. Eating right means you are able to delay fatigue; it can allow you to push harder and recover faster. It can give you the edge you need to set a personal record. Thinking about your nutrition is best not left to the days or hours before the race. It should start now for the weeks ahead.Eating right means you are able to delay fatigue; it can allow you to push harder and recover faster. It can give you the edge you need to set a personal record. Thinking about your nutrition is best not left to the days or hours before the race. It should start now for the weeks ahead. So what should we be eating in preparation for the big day? Whether your objective is to improve your fitness or trim your waistline, the quality and the quantity of your fuel counts too. Both athletes and non-athletes need the same nutrients: carbohydrate, protein, fat, vitamins, minerals and water, but they need to be consumed in different quantities and proportions. The food we eat should provide sufficient energy to fuel our training. Over the coming weeks we will advise you on how to get the balance right. A good diet will not turn an average athlete into a superstar, but a poor diet will prevent you from achieving your potential! 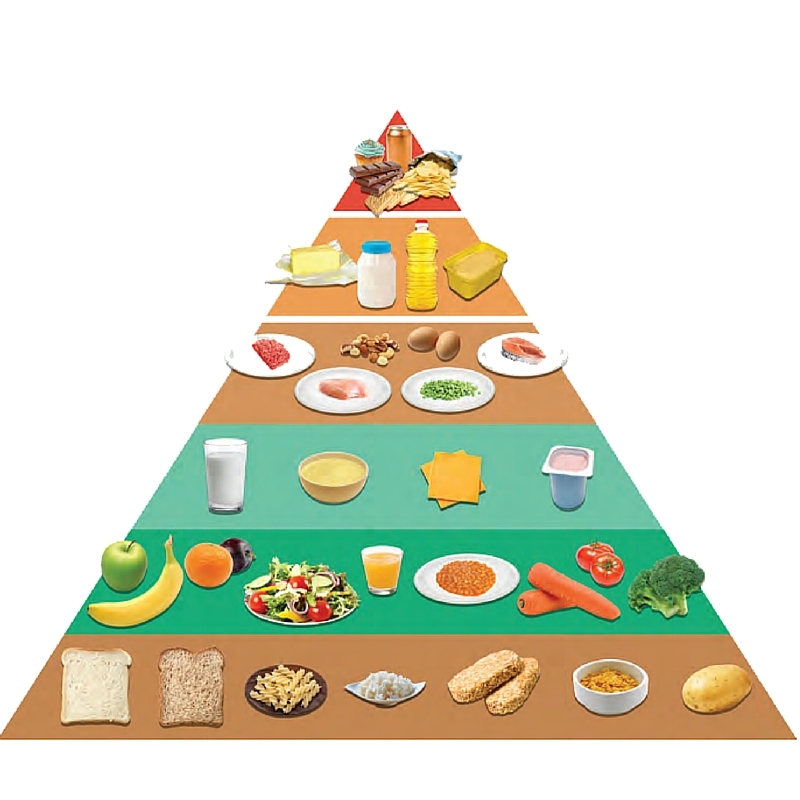 This week we are ‘getting to grips with the basics’, focusing on the food pyramid, which will help us to make healthier food choices and achieve a balanced diet. Let’s start at the bottom shelf and work our way up. Foods on this shelf are the best energy providers for your body, so the more active you are the more you need. Choose high fibre varieties where possible. Daily Servings: 5 or more– more is better! These foods provide many important vitamins and minerals and are naturally low in calories. These foods are rich in calcium needed for healthy bones and teeth. Choose low-fat options regularly. Look for varieties fortified with Vitamin D helps absorb calcium. Spreads and oils supply the body with essential fats but are only required in very small amounts. Opt for reduced fat spreads or oils such as rapeseed or olive oil (monounsaturated) instead of butter. Remember all oils contain the same amount of calories so even when choosing the healthier options use them sparingly. There are NO recommended servings for this group because they are not essential. These foods are high in fat, sugar and salt. Excess consumption of these may lead to weight gain increasing your risk of heart disease, type 2 diabetes and some types of cancers. There are some nutrients that are particularly important to us ladies! Active people need to make sure they consume adequate vitamins and minerals to meet the demands of exercise. Some athletes have higher requirements for iron and calcium, such as female athletes and adolescents. Good sources of iron include red meat (such as beef or lamb), eggs, breakfast cereals with added iron, peas, beans, lentils and green leafy vegetables (such as broccoli and spinach). Not only is the quantity of iron we eat important but the quality also. Iron found in red meats such as beef and lamb, is absorbed more easily in the body than iron found in cereals, fruit and vegetables. Eating foods rich in vitamin C (e.g. citrus fruits) also helps the absorption of iron. Calcium is needed to build strong, healthy bones and teeth. Calcium may also help in controlling blood pressure and body weight. Similar to iron, the increased demand for calcium during adolescence, pregnancy and breastfeeding can lead to reduced stores of calcium in bones and an increased risk of developing osteoporosis in later life. As discussed in the food pyramid, children, adults and older people are recommended to have 3 servings of calcium-rich foods per day. Choose fortified varieties regularly to increase consumption of vitamins and minerals. 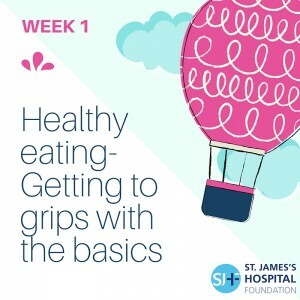 This week we have looked at the basics of healthy eating. In the coming weeks, we will focus on a number of the finer details such as food and fluids during training and pre & post exercise.